The modern and inexpensive AS608 is a stylish, robust audiometer that’s flexible and portable; ideal for schools, medical centres and industry. There are two versions of this screening audiometer: AS608b and AS608e. AS608b: This version can only be operated manually (the test is completed in full by the operator). The AS608b is the best option for practices on a budget, testers who prefer to test manually or when manual audiometry is required by government legislation (eg. The WorkCover WA workers’ compensation program in Western Australia). 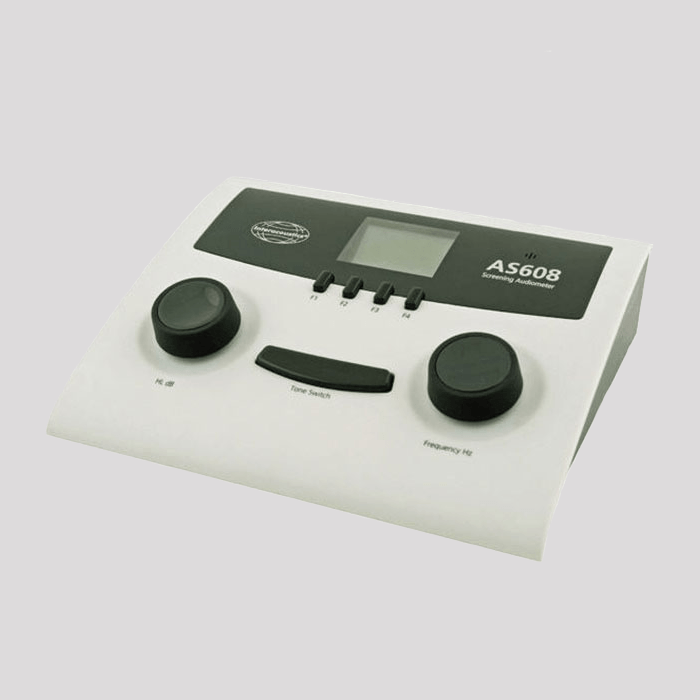 AS608e: This flexible screening audiometer can be used in automatic mode (or manually) with inbuilt software allowing the operator to complete a hearing test with the press of a button. The AS608e includes Diagnostic Suite software for transferring test results to a computer and printing via a standard office printer. Users can also modify the print layout to suit personal preference using the report editor function. Optional database software can be purchased for storing, reviewing and managing data. The AS608e is the best option for testers with little or no audiometry experience, operators who are “time poor” or those seeking flexibility with printing and storing test results.